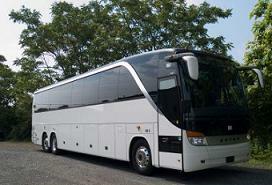 Why should you hire a Brooklyn Bus Rental from us? Your Safety, Comfort and Quality Vehicles we take very serious here at Charter Everything. We offer the highest quality charter services in the market today. We aim to achieve 100% customer satisfaction through our bus rental services in New York and other local areas. Charter Every Thing provides local bus rental in Brooklyn, NY this is the perfect option for small or large school groups, corporate shuttles, private tours, airport transfers and other group travel. We provide our services to many corporations, tour groups, and schools, private non profit organizations located in the Brooklyn NY area. When you select our Brooklyn Bus Rental you can expect clean, comfortable, and well maintained charter buses for any group travel. All of our coach buses, minibuses, shuttle vans and other vehicles are well equipped with all necessary items that you may require on your charter, please ask our staff for more information. You don’t have to worry about driving so many cars around looking for parking we have courteous, well-trained, and professionals charter drivers to help you get where you need to go. Many of our Brooklyn bus rental also have a GPS tracking system to help locate any group if needed and for those people who are not familiar with local streets in the Brooklyn NY area we have local drivers that know these streets best! 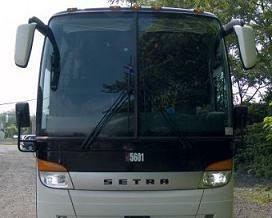 Our coach bus rentals are perfect for any type of event. It does not matter if you are going to a wedding, need airport transfers, proms or corporate transportation Charter Every Thing has the best charter bus to fit your group needs. We have the capacity to offer you our transportation services for any occasion no matter if your looking to transport a small or large group of people Charter Everything is the provider that you should entrust when it comes to group transportation needs. When you select our Brooklyn Bus Rental you will not have to worry about high charter bus rates because our vehicles are highly affordable. The charter rate for each coach varies because of size and facilities vary from charter bus to mini bus and then party bus. Our bus rental services are extraordinary and we will not let you down on the job, we will always get you to your destination. Trust in Charter Everything we have been in the transportation industry for many years and understand the importance of quality bus transportation. Charter Everything Brooklyn Bus Rental booking process is hassle free and you will be able to book a coach bus or mini bus that you prefer in no time. Check out our wide range of vehicles today you will definitely find a coach bus that suits your budget and needs. If you have any further inquiries about our Brooklyn bus rental services, then you can contact our customer support team to assist you.